The JOOLA Tour 1500 Indoor Table Tennis Table is functional, made of top-quality materials, and designed with specific features that consumers will find useful and well-thought-of. 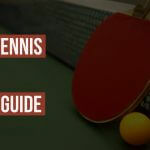 It is among JOOLA’s bestselling entry-level indoor ping pong tables for recreational and advanced players alike. The JOOLA Tour 1500 is made of a 5/8 Inch MDF Blue Painted Table Surface for improved gameplay and performance. The 15mm table top is made from a high-quality wood composite material with two halves each supported by an undercarriage of powder-coated metal frame construction. For safety purposes, this ping pong table features a double anti-tilting device. The tennis table can be folded in half for easy setup and storage. This also allows the player to fold half of the table down for use in playback mode. Additionally, each piece of the table has its own set of legs, so you can separate them and play against a wall. The table is kept secured in place with the help of two casters made with strong ball bearings that can be locked. It has a 200-pound frame made of steel, including cross beams and T-brackets for extra support and stability. This adds to its overall bulk. To keep the medium density fiberboard (MDF) top in place, the frame comes with a steel apron. All in all, the construction is quite solid for an entry-level table tennis table. One of the things most people comment on regarding the JOOLA Tour 1500 is how easy they managed to assemble and set up the table. Most of the time, the unit is shipped with some of its parts already pre-assembled. Because of this, less time is needed to put everything together. The table is very maneuverable, thanks to its 8 sets of wheels that are easy to glide and move around surfaces. This feature comes in very handy when you have to frequently stow away the equipment because of limited space. It also features leg levelers that are easy to adjust to ensure that the playing surface is even. The package also includes a tournament-grade net with posts set. Since most of the parts are shipped pre-assembled, putting everything together becomes faster and easier. The build is solid and durable for an entry-level table within its price range. Since the table is built in halves, it is more compact and easy to move around and store. You can also use each table for separate purposes, such as creating additional tables during parties, etc. Allows backboard position for solo play. Some product reviewers of them harbored issues regarding JOOLA’s quality control, since some of the consumers received items with problems in how the equipment was screwed together. From the reviews between the Joola Tour 1500 and Joola Rally 300, most of their basic features are very similar. Since the thickness of their boards is not “tournament-esque,” experienced players are more likely to notice that the bounce is not that good. However, this is expected from any entry-level table. That said, between the two, the Joola Tour 1500 Indoor table tennis table is better since the tables can be separated and used for different purposes. 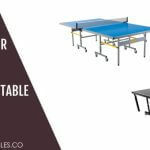 The JOOLA Tour 1500 Indoor Table Tennis Table is a good purchase for individuals or families with a working budget. It’s not too expensive, and the quality is very good for an entry-level piece of table tennis equipment. Playing table tennis doesn’t have to be a casual affair with the JOOLA Rally TL 300 Table Tennis Table. This recreational table tennis table features corner ball holders and magnetic scorers built with quality and designed with a sleek style. This high-end looking table has a 15 millimeter, charcoal-painted, medium density fiberboard surface. A detailed polyurethane paint process makes the table top resistant to ball marks and scratches. The two-piece table is mounted on a 30mm x 30mm thick powder-coated, white undercarriage made of aluminum. It uses a 7mm resin laminated playing surface with corner protection pads. Additionally, it has a MATTOP surface for an anti-glare finish and proper ball adherence. Each of the corner ball holders can hold up to three 40mm ping pong balls, which is very accessible even when playing. This feature is convenient for players, since it allows fast, continuous play; players don’t have to constantly chase stray balls around. 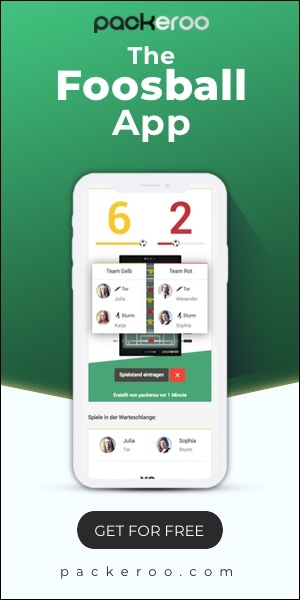 A magnetic scoring device is included to help players keep track of their scores. This abacus scorekeeper is easily detachable, and can be placed wherever is most convenient while playing the game. The package also includes a weather-resistant net system. It is easy to assemble and has adjustable posts for height adjustments to ensure a level playing surface. The table consists of two units, both of which can be easily folded if you want to practice against yourself or perform drills to work on your consistency. Aside from folding the two-piece table for playback mode, you can also fold it for more compact, easy storage. The table also comes with adjustable legs, which provide premium support and stability. It can be also be folded under the tabletop or easily adjusted during gameplay to level out the table. At approximately 155 pounds, moving the table around can be quite a hassle. Fortunately, the JOOLA Rally TL 300 table tennis table has wheels so you can move it whenever you need to. These wheels are also lockable to ensure that the table does not become unstable and roll away. This is an important feature, especially if you are going to place the table on a hardwood or cement floor. The JOOLA Rally TL 300 has a central release handle and can be easily opened and closed. It is fully locked during gameplay and while stored. This is important for preventing unwanted accidents. According to some people who reviewed this product, the legs, undercarriage, and the table are solid and well-constructed. The table is easy to assemble. The option for playback mode is a nice feature. Many people who reviewed the product agreed that it was very convenient to have the corner balls catch strays. According to some people who reviewed this product, the surface is quite thin. This gives the ball a quite decent bounce, but not the best. Assembling the table may require two people, as it is quite heavy. The JOOLA Rally TL 300 is a good entry-level table for recreational sports inside your home. It has nice features that adults and kids will find useful. However, it is important to remember that this table was made for indoor use only and is not protected against warping, cracking and paint peeling off if left outdoors and in humid environments. 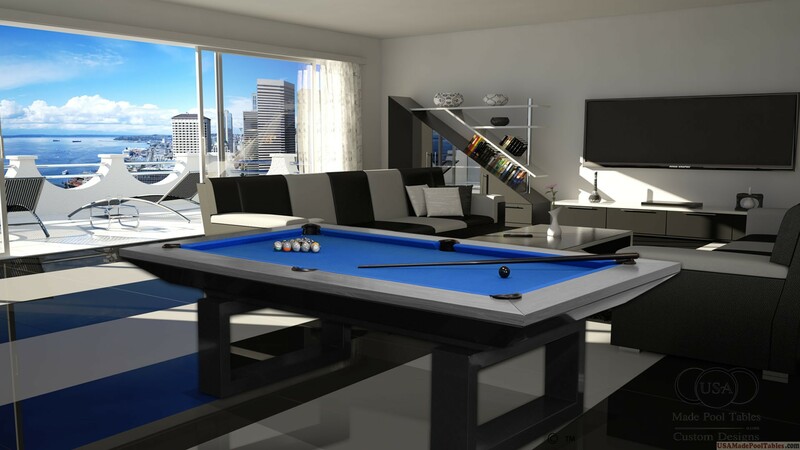 Just because you don’t have room inside your home doesn’t mean that you can’t have your very own table tennis table. This is where the JOOLA Nova Outdoor Table Tennis Table comes in. It’s designed for outdoor use with its durable, rust free design, and the use of an aluminum plastic composite surface. The JOOLA Nova Outdoor Table Tennis Table can certainly weather the outdoors. If you’re looking for an advantage to buying a JOOLA Nova Outdoor Table Tennis Table – simply that it is designed for outdoor use. If you think that your wooden surface table would hold up to the changing conditions of the outdoors without being damaged, think again. The JOOLA’s Nova Outdoor Table Tennis Table has an aluminum top, making it completely waterproof. You can even leave it outside and it won’t warp even when exposed to the sun or rain. If you’re wondering about the durability of the JOOLA Nova Outdoor Table Tennis Table, you can be assured that the 30mm steel frame used together with the 30x30mm undercarriage would certainly hold up to plenty of use. The table can also be used as two separate tables. This is because each half of the table comes with a trundle system that makes transport easier and even makes it stand alone quite well. If these features aren’t enough to get you satisfied, the table can also bet set up and stored just as easily because of auto folding legs. There are also added security measures in place to keep the table stable, especially while you’re playing on it. The 3 inch lockable casters are very durable and there is an anti-tilting device to help keep the table stable. You also have the option of playing by yourself with the table’s playback mode. While the JOOLA Nova Outdoor Table Tennis Table is meant for outdoor use, you can enjoy your table much longer if you invest in a table cover, especially when you are located in places that experience extreme weather conditions. The table is also quite heavy. You may need some extra hands to help out when you need to bring the table into your property. Lastly, while the net and post are included in the table purchase, there have been some problems with the quality. If you want the best gameplay possible, you can purchase a separate net and post just so that you won’t be bothered by it. Certainly a little bit more expensive than the JOOLA Nova Outdoor Table Tennis Table is the Butterly TW24B Outdoor Playback Rollaway Table Tennis Table. Even with the hefty price tag, you’re still making a great investment on this table. It is also a level up on your JOOLA. What’s so great about the Butterfly TW24B Outdoor Playback Rollaway Table Tennis Table? For starters, it can weather any conditions with its synthetic laminate top. The design is also very family friendly with safety levers in place on each side of the table to prevent it from opening when in a closed position as well as a center cross brace to keep children from crawling into the table when it is in a closed and folded position. Playing on the Butterfly TW24B Outdoor Playback Rollaway Table Tennis Table is stable with its dual crossbeams feature on all four legs. Your decision basically boils down to your budget. How much are you willing to spend for a table tennis table? If you’re practicing to go professional, then by all means, spending on the Butterfly TW24B Outdoor Playback Rollaway Table Tennis Table is a wise decision. If it’s meant for occasional play and family recreation, the JOOLA Nova Outdoor Table Tennis Table will still not disappoint. The JOOLA Nova Outdoor Table Tennis Table is a great purchase when you’re looking for a table that you can place outdoors. It is sturdy, easy to set up, easy to store, and is able to give you great gameplay. This table tennis table gets a 5 out of 5 especially since you don’t have to break the bank just to have it.